It seems as though Amazon is in the headline of every news story, from their acquisition of Whole Foods to the hunt for their next headquarters location, this company is making big moves that will result in big changes for the commercial real estate industry. Experts have predicted that Amazon will utilize Whole Foods stores as hubs for grocery pick-up and delivery, resolving the “last mile” issue. The $13.7 million acquisition has the potential to completely change the grocery industry. This deal presents an opportunity for retail real estate investors because it underscores the vital role of brick-and-mortar stores in the future of the retail sector. The value of strip malls with Whole Foods stores has increased, while centers anchored by competing supermarkets will face pressure to adapt. 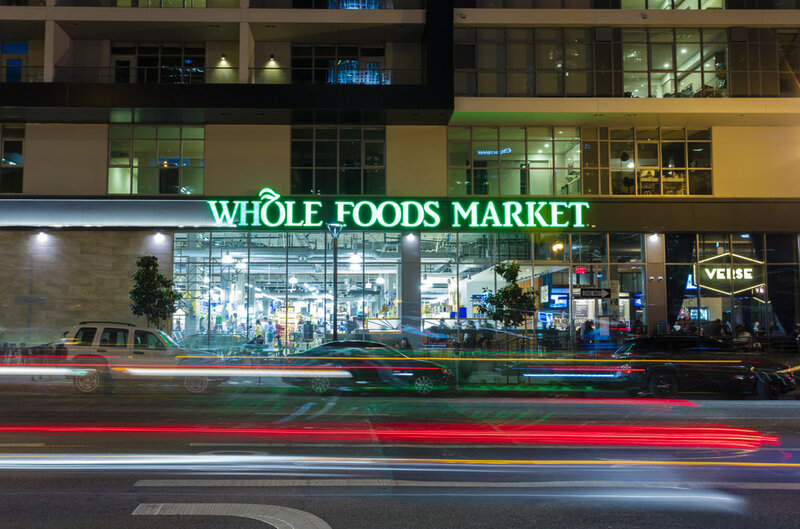 The 440 current Whole Foods stores are located in highly affluent areas and Amazon will likely take its e-grocer model to a new level in these stores. Amazon could use these stores as both delivery hubs and distribution centers. As prices drop for Whole Foods products due to this acquisition, foot traffic will rise, since many shoppers who were deterred by Whole Foods’ relatively high prices, may now see lower prices. Another implication of the acquisition is there may be degradation and there may also be situations where rent growth stagnates. This is all happening because the best retailers want to be near a Whole Foods-driven center. Food manufacturers and producers need to prepare for two different scenarios: Amazon landing in shoppers’ carts with food of its own or Amazon engaging in margin-busting negotiations. The purchase of Whole Foods gives Amazon new leverage to expand its online grocery and delivery business, which already has Amazon Fresh, its own grocery delivery service. Amazon’s greater presence in the grocery world will force regional grocery stores to step up their services. Companies such as Hello Fresh and Blue Apron may also feel the pressure. The bottom line is real estate investors care about novelty and they are going to flock to this because this entire idea is novel. Amazon is truly taking over the grocery world and this is going to greatly affect the real estate within the shopping centers where Whole Foods anchors and is located in. The next big move that Amazon makes with the decision of its second headquarters location will also greatly impact real estate and will be a driver of growth in the city Amazon lands in next.